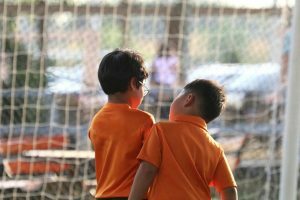 When it comes to honing your soccer skills, one of the most neglected questions is how to become the perfect teammate. In order to do that, you’ll have to give to the team more than you take away. This might sound simple at first, but it takes a lot of work to overcome one’s ego and develop true team awareness. Every famous soccer team has a lot of excellent players and every single one of them can change the course of the entire match. 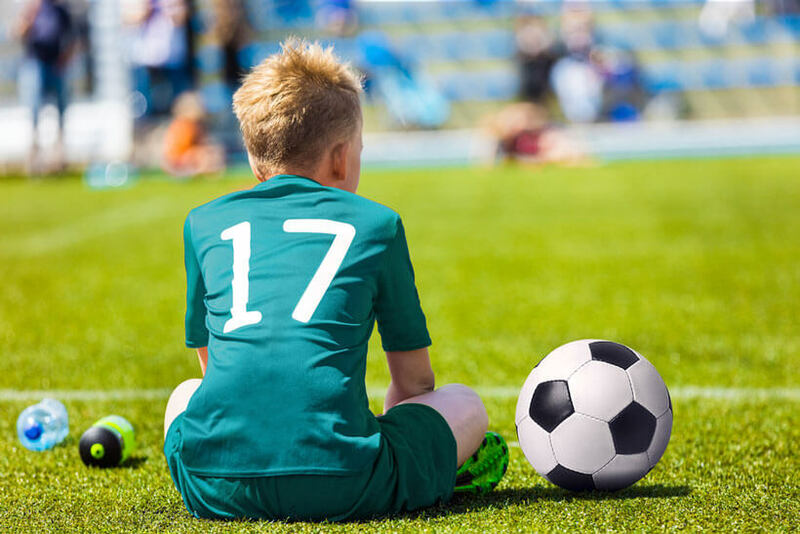 There are a lot of excellent soccer training programs out there, but true sportsmanship is something you’ll have to learn on your own. There are no drills for this, you’ll just have to face your soccer ego and overcome it for the good of the entire team. Today’s blog will provide you with some useful tips on how to start playing more for the team than for yourself. In order to help your team and become the best player you can be, you’ll have to give up personal glory for the success of the team. This doesn’t mean that you shouldn’t stand out or try your best, but giving in to laziness, arrogance, apathy or selfishness will harm you as a player, consequently also harming the entire team. Communicate with the rest of the team on and off the pitch. Do you satisfy all of these criteria or lack in some of them? Don’t worry, admitting one’s shortcomings is just the beginning of your journey toward self-improvement. Team chemistry is partially determined by the personality of your teammates and the quality of your main coach. The other part, however, is where your behavior can have a significant effect. So, let’s go over our 5 most important recommendations for becoming a true asset for your team. It is natural to care more about yourself than the team, that’s why we’re here. The results of a selfish game are many, none of which are good. You see players trying to dribble when they should obviously pass, push up the field in situations when they should defend, conserve energy when they should create space for their teammates, and so on. A selfish player is never hard to spot. If you recognize yourself here, try to conquer your arrogance before you drag the entire team down. You should always give your best, every practice, every game. Think what’s best for the team and not for yourself. Instead of showing off, make effective and smart plays. These might not make you the most attractive player to look at but they’ll mean a lot for your team’s chance of success. Just stick to your role and your teammates will recognize and admire your efforts. The art of creating positive team chemistry lies in saying positive things at the right time. Compliment your teammates once in a while and support them when they mess up. It’s not a big secret that many teams spread too much negativity. Remember, you should yell at your teammates only if they’re not playing their roles. For example, if your teammate constantly dribbles when they should pass, some yelling might be warranted to correct such behavior. Maintaining a good relationship off the pitch will lead to good chemistry on it. You should get to know your teammates and spend some time with them. Party with them, play games together, organize sleepovers, whatever works for you. We particularly think of teammates that are less popular or shy. Learn how to work with their personalities and give them the same amount of support like you would to beginners. You know what they say about the weakest link in the team? Make sure your team is a close-knit machine without any potential weaknesses. If you use it correctly, criticism will improve the overall chemistry of your team. You should make an art out of it so that your teammates won’t get angry or offended once you apply it. It might sound like rudimentary psychology, buy psychology works. Make sure to say something positive first, then tell them what they are not doing right, and finally button it all up with some positive last thoughts. It is best to apply constructive criticism 1 on 1 or in small groups. You should practice this a lot since your respect within the team will hinge on how well your criticism is received. Becoming a good teammate has nothing to do with how well you control the ball, for example, but it’s equally hard to master and just as important. Soccer is a team sport and all it takes to lose you the game is a couple of angry players who feel left out or misunderstood by the rest of the team. Make sure you’re not one of those players, then move on to building a proper team spirit with the rest of the players. Always give you maximum and respect and help your teammates, as a positive team atmosphere is something definitely worth achieving.